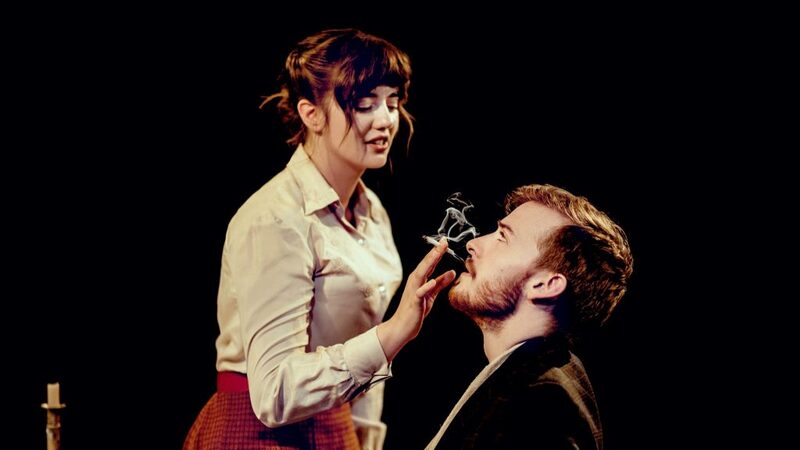 Enjoying its second run at the Arcola, Jack Gamble’s production is a stark portrayal of the family dynamics of a typical working class family at the start of the 20th century. Focussing on the strained relationship between Luther and Minnie during the early weeks of their marriage, D H Lawrence’s The Daughter-in-Law is all about the dialogue, with the sharp-witted script providing real-life drama that is surprisingly relatable today despite being over 100 years old. By and large this is a solid production with well-grounded characters and notably tense moments. It does, however, suffer from repeating itself over its long running time and the multiple arguments between characters can become a little jarring. With virtually all the action happening around a table in the centre of the stage, Gamble’s in-the-round setting creates an almost claustrophobic closeness to the small family home and the conversations within it. With long discussions featuring heavily during the play, this does mean you may find some characters with their backs to you for extended periods, but on balance, this is a price worth paying for the natural setting the staging allows. While set against the backdrop of the 1912 mining strike in Nottinghamshire, the play doesn’t really trouble itself with anything outside four walls and is far more focussed on creating five distinct characters and their interactions between each other. The plot is simple, after a revelation about Luther’s past, we witness the effects it has on his already ropy marriage with Minnie. The second of five acts is where we first meet the newlyweds played by Matthew Barker and Ellie Nunn respectively. Barker’s Luther is a simple sole, almost exhausted of the struggle between himself and his wife and preferring to take the easier route of absentness both literally and figuratively. Nunn’s Minnie is a lot more complex, constantly battling her own mind on how to approach her husband, one minute lovingly then angrily, then upset. Minnie reveals much more emotion than any of the other characters and at times is unable to console feeling of shock and rage. The subtle tension between the couple can be agonising and these moments are more successful than when erupting into full-blown arguments, that appears a little hammed up. Veronica Roberts as Luther’s straight talking mother, Mrs Gascoyne, is a delight to watch on stage. Her blunt attitude towards the other characters can be both funny and startling, while she is still able to demonstrate a love for her children beneath her hard skin. While Mrs Gascoyne and Minnie do not share the stage until after the interval, it is clear that they don’t get on. It is then very satisfying to see the relationship between them play out when they share the stage in later scenes. Matthew Biddulph is chirpy and likeable as Joe Gascoyne with a sarcastic sense of humour masking inner insecurities. Tessa Bell-Briggs as neighbour Mrs Purdy brings a humorous mellow-drama to her performance that contrasts well with Robert’s Mrs Gascoyne. Overall this production entertains but doesn’t dazzle. The play itself is a little too long and while in the most part the actors are able to portray deep relatable characters, at times the drama becomes a little too overstated to be completely believable.